All-star quartet Last Exit garnered its reputation with a string of unrelentingly forceful concert recordings in which it pushed the energy style of free jazz to its limits. When the group went into the studio for the only, though, a very different sort of album resulted—very different not only from all their other output, but even from anything else ever heard from anyone at that time. Because of that, when it was released in 1988, some fans and critics didn't know what to make of it. 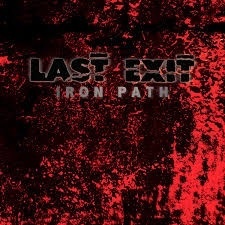 This was, in a way, understandable, because Iron Path was so far ahead of its time that perhaps only now, over a quarter of a century later, is there an audience prepared for this album's pioneering hybrid of abstract heavy metal, unsettling ambient music, and free improvisation. Back in 1988, "Darkwave" hadn't yet been conceived, much less named and niched. 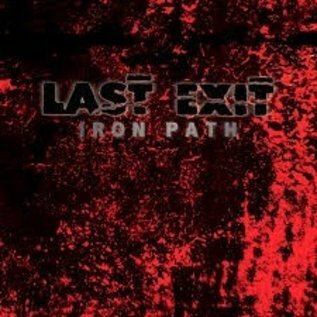 The brutal sonic assault of Last Exit's live albums is not banished; it lurks below the surface on Iron Path, sometimes allowed to break through for a moment of stark contrast. But the unremitting density of texture heard in the quartet's shows is stripped back in favor of more subtle and varied textures, sculpting an atmosphere of moody brooding and sinister suspense. And, of course, the studio also allowed for far greater sonic clarity, putting these virtuoso players in a setting that shows off their masterful command of myriad timbres. In a world that has since become accustomed to hearing Earth, Pelican, Blut Aus Nord, Aphex Twin's Ambient Works sets, and Oöphoi, and artists such as Whote who explore the overlap between them, Iron Path can finally get its due, and an audience schooled to appreciate what it offers.